We’re living in crazy times. 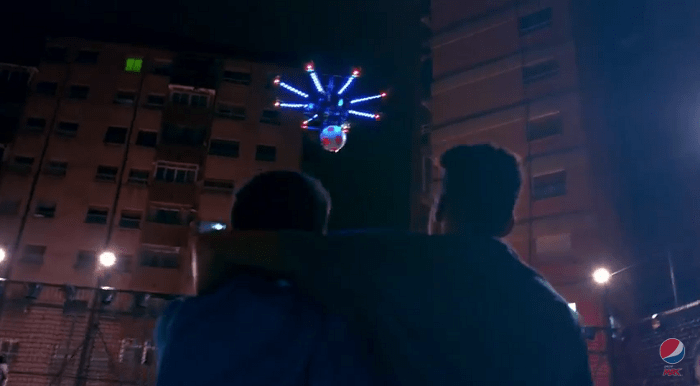 First, a bunch of Turkish 5-a-side players get the full champions league experience, and now Pepsi go a stage further by springing a ‘drone football’ surprise on a group of players in Barcelona (video at the bottom). The elaborate surprise appears to have been sprung on a group of players gathering for their normal game on a futsal-style pitch in Barcelona. Of course, as the drone suddenly begins to hover overhead, it’s quite clear that it’s going to be a far from normal game. At this point the players aren’t exactly sure what’s going on, and by the look of them some of them are just praying that it’s not some sort of alien abduction. 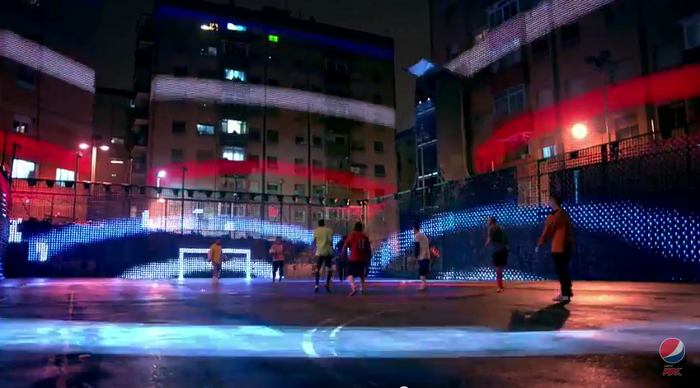 Thankfully though aliens aren’t in town, and it turns out that this craft is just part of Pepsi’s elaborate plan to turn their 5-a-side game into a crazy light-show extravaganza. Within seconds, the drone drops the football and the players begin their match on a pitch that’s seemingly sprung out of nowhere. As with all of these 5-a-side surprises, eventually it all just gets a little too surreal for some of the participants, at which point it’s now customary to show an obligatory shot of one of the players looking as though he can’t work out whether this is real or all just some sort of weird dream. It’s a fine attempt by Pepsi. As almost if they’ve said to to Mastercard, “I’ll see your Champions League surprise and raise you a crazy light show.” Which begs the question, whatever is going to happen next?! 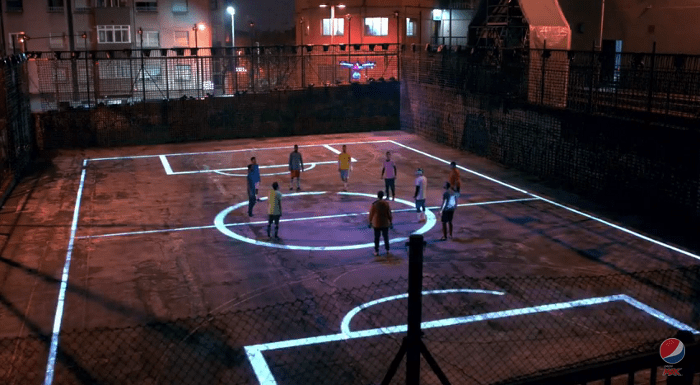 Chances are, some clever advertising agency is already planning the next bizzarre 5-a-side surprise. Watch out at a pitch near you!